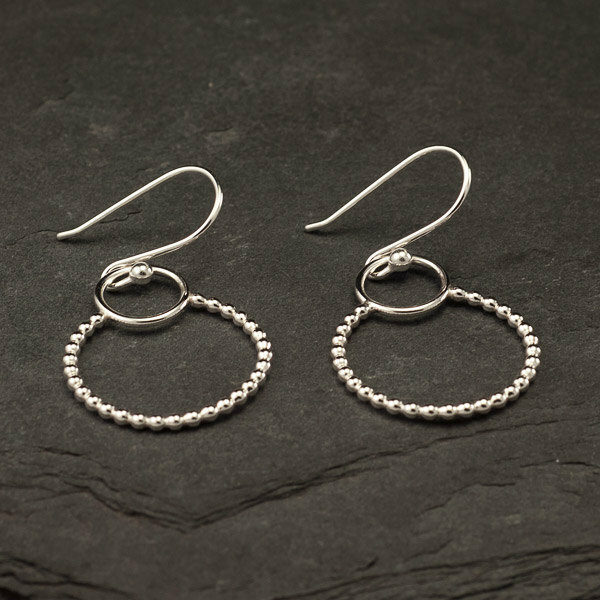 These solid sterling silver dangle hoop earrings are accentuated with a dotted design. 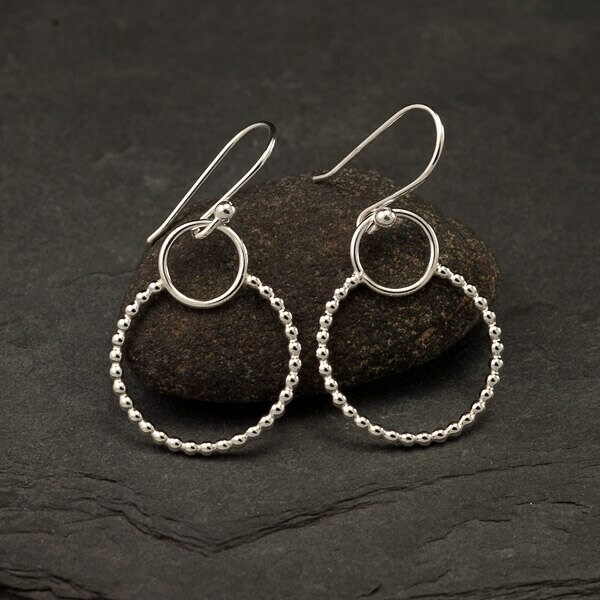 Earrings measure 1.5" from the top of the ear-wire to the bottom of the hoop. They are surprisingly lightweight & cascade beautifully from the ear. Sure to be your new favorites! Shipping was quick and earrings are very unique and pretty. They are also large enough to show easily even with my hair down. I highly recommend! I would have given this review five stars had it been shipped as promised. 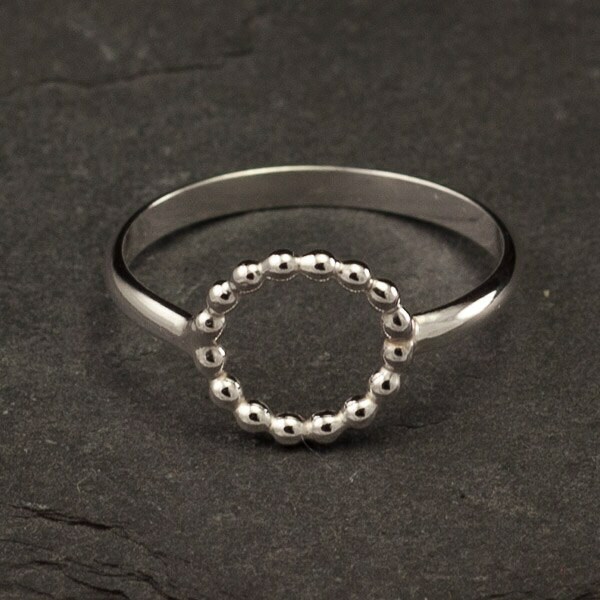 Instead I had to wait until the seller returned from vacation, which had not been posted on her Etsy site. I had to send her two convos asking why the earring weren't shipped as promised. The earrings are fine. I expect better service the next time. This artisan is superb! I have bought several pairs of earrings from her. Each pair becomes a "favorite" of mine and these surely are so destined. Thank you. Beautiful. 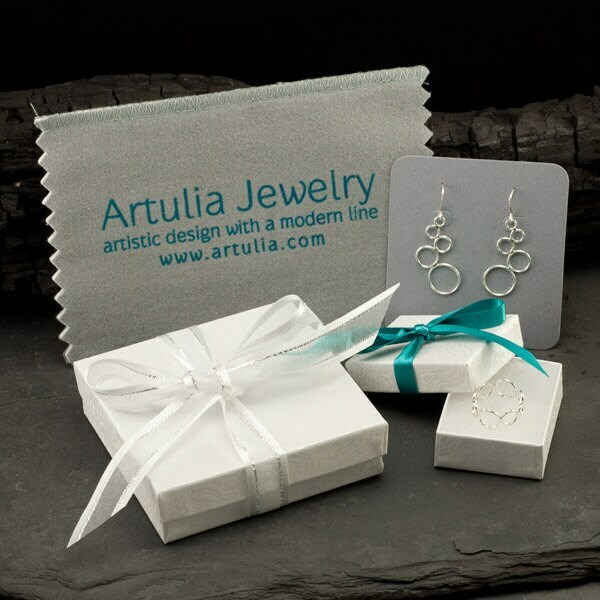 These will make fabulous gifts. Now I need to get a pair for myself.